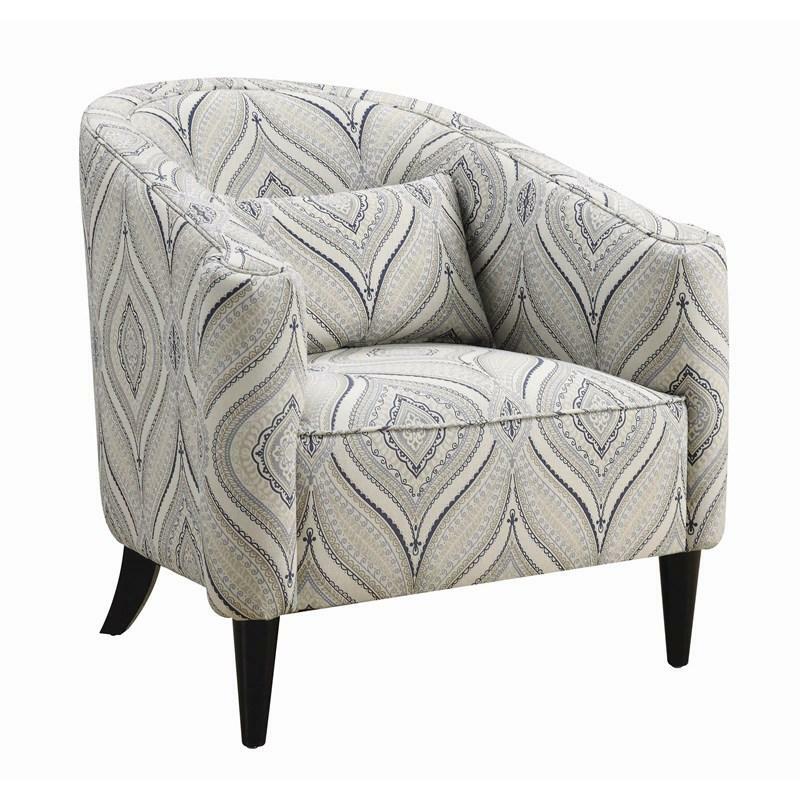 This modern chair features a blue grey and off-white floral-inspired pattern. 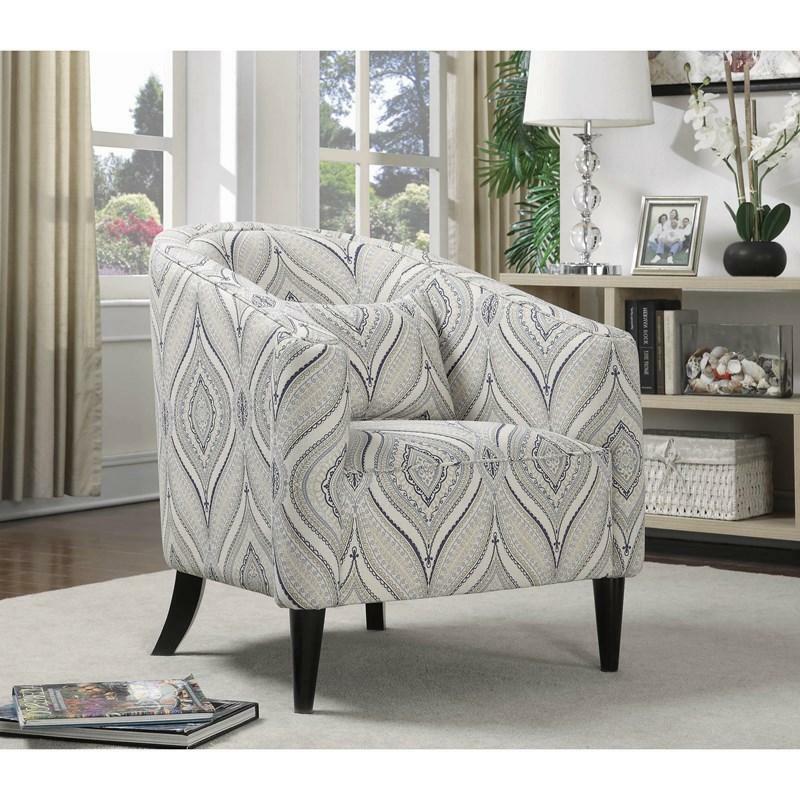 Padding in the rolled arms, curved barrel back, and seat ensure this chair is a comfortable seating option for you and your guests. An accent pillow included for extra support and comfort. Volume 19.42 cu. ft. / 0.55 cu. m.